How can Dentists Improve Dental Practice Experience and Productivity? - ABELSoft Inc.
How can Dentists Improve Dental Practice Experience and Productivity? Why ABELDent Practice Management Software? Decades of ongoing collaboration with dental practices across Canada have created the advanced ABELDent software that is available today. You can be sure it provides all the functionality that improves your practice efficiency and maximizes your return on investment. The Appointment Scheduler serves at the administrative hub to perform all daily tasks – efficient workflows provide ease of use and saves you time searching. The Treatment Manager prevents unscheduled treatment from getting lost and is integrated with the Scheduler to save even more time and ensure your appointment book remains full. Want to go fully paperless? – no problem as full Charting and Clinical Notes are included at no extra cost. For more details and a comparison of this ABELDent Local Server Solution and our ABELDent Cloud Server Solution see ABELDent Platform Comparison. View this brochure and continue reading this page to find out how. Take a look at ABELDent Software. 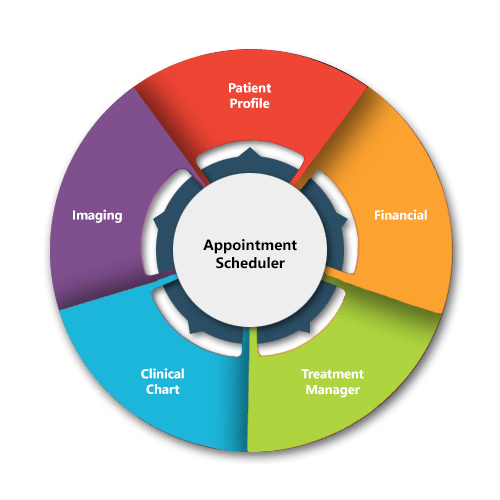 The Scheduler serves as the administrative hub of your ABELDent system: all day-to-day tasks are directly linked to each patient’s appointment with one click! 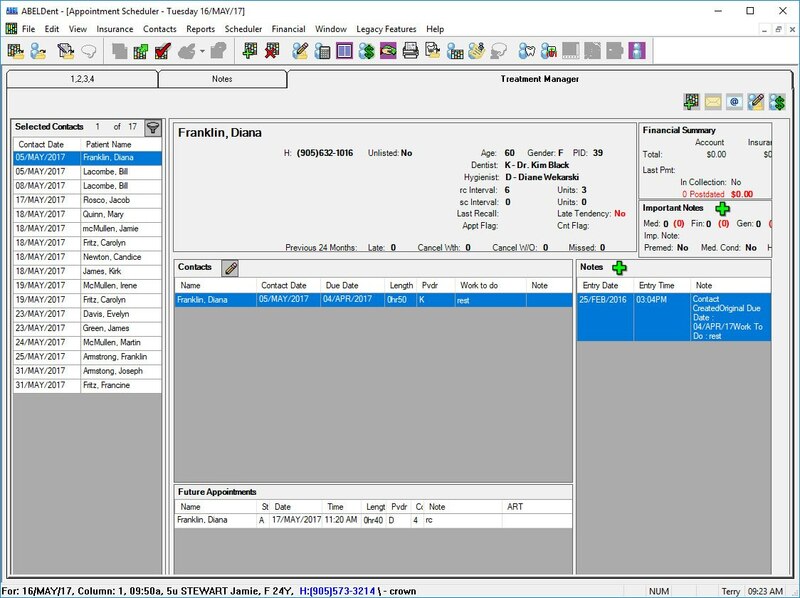 You can configure the appointment book to your specific practice parameters and scheduling requirements for optimal search and booking efficiency. 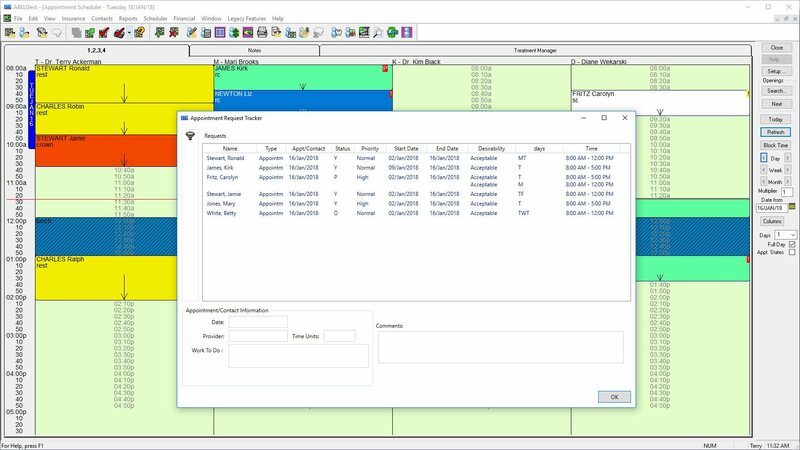 Productivity tools such as Appointment Request Tracking (as shown), Ideal Day Blocking, Production Goal Setting and Short Notice Tracking all contribute to more efficient and profitable scheduling. The system also tracks a patients’ appointment history so that costly cancellations and missed appointments are prevented. Importantly, the ABELDent Scheduler has a Privacy mode which hides confidential information in high traffic areas of the practice. ABELDent’s clinical charting results in administrative synergies that are otherwise not possible with paper records since the clinical chart now becomes integrated with the billing, treatment planning and appointment scheduling functions. Clinical data, once certified, becomes a permanent and secure part of each patient record. The ABELDent Perio Chart allows you to record measurements for Recession, Pocket Depth, Attachments and Furcation as well as plot conditions such as bleeding, suppuration, plaque, calculus, and mobility. You can compare results for up to 5 different exams to evaluation patient progress. ABELDent clinical functions are included at no additional cost so there is no new software to purchase once you make the decision to go paperless. The Treatment Manager can easily retrieve your patients that have chosen not to pre-book their recall appointment so you can contact them at the appropriate time based on their due date and insurance coverage. You can also locate and prioritize outstanding unscheduled treatment so it never gets lost. 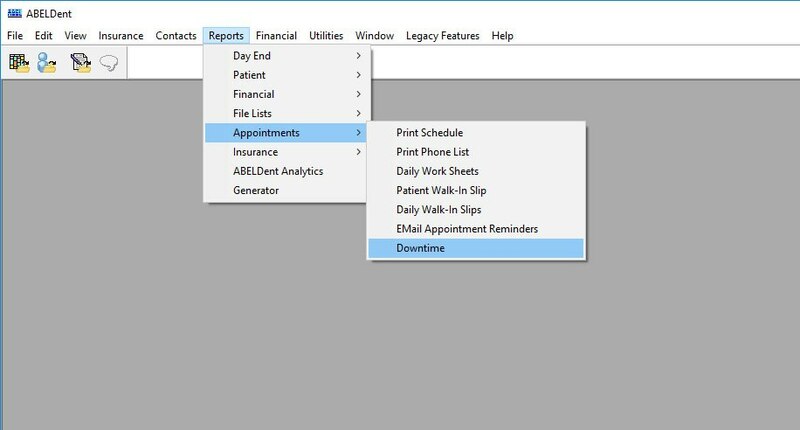 Filter by provider, required procedures or other criteria to keep the schedule full and your days productive and predictable. Patients’ availabilities, preferences, follow-up attempts and past cancelled/missed/changed appointments are all tracked and monitored with warning messages to prevent you from booking failed appointments. The Treatment Planner also integrates with ABELDent Portal so you can more efficiently reach patients who require treatment with email and text messages. ABELDent captures and stores images from a wide variety of sources such as digital photos, and intraoral camera images. As an independent company, we integrate with digital radiography software from many vendors so that you can choose the option that best meet your needs and budget. 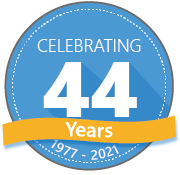 Click here to review the ever-growing list of compatible 3rd party digital radiography/imaging vendors. If you’re not yet producing digital x-rays you can capture and store your scanned film x-rays or input digital films forwarded from another practice. The ABELDent patient record is secure and easy to use. All information about a patient is in one easy-to-navigate record: there’s no need to toggle between modules. 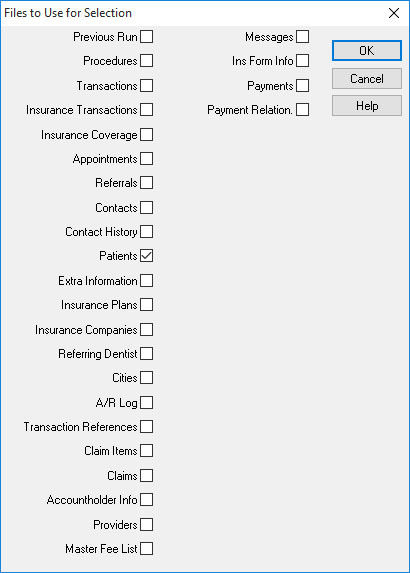 Our At-A-Glance user interface keeps important information close at hand – an authorized user has quick access to appointments, contact information, clinical treatment history, insurance information, and financial records. The financial efficiency of most practices increases along with the ease of collections from patients when claims are submitted electronically. ABELDent makes this possible with iTrans compatibility and/or modem claims transmission. In Quebec, ABELDent supports RAMQ’s TIPI-I submission of electronic claims which took effect on November 30, 2014. Paper claims and diskettes are a thing of the past! ABELDent can adapt to the financial needs of almost any practice. It supports several models for sharing revenue among owner dentists, associate dentists and hygienists. ABELDent provides excellent support for insurance assignment and is equally effective for practices that do not accept assignment. ABELDent uses powerful and flexible financial tracking that far surpasses the industry standard. Patients have fewer questions and pay more promptly when they can view their financial obligation on a per-procedure basis. It's said that you can only improve what you measure – ABELDent Standard Reports help you track and measure practice productivity in dozens of areas. Monitor practice growth, demographic trends and provider capacity and productivity. Check recall retention, compare production between two time periods, ensure that you meet collections targets and much more. With ABELDent Analytics Reports Module you can produce Key Performance Indicators (KPIs) to help make better informed practice management decisions. Results are presented in graphical and tabular form. 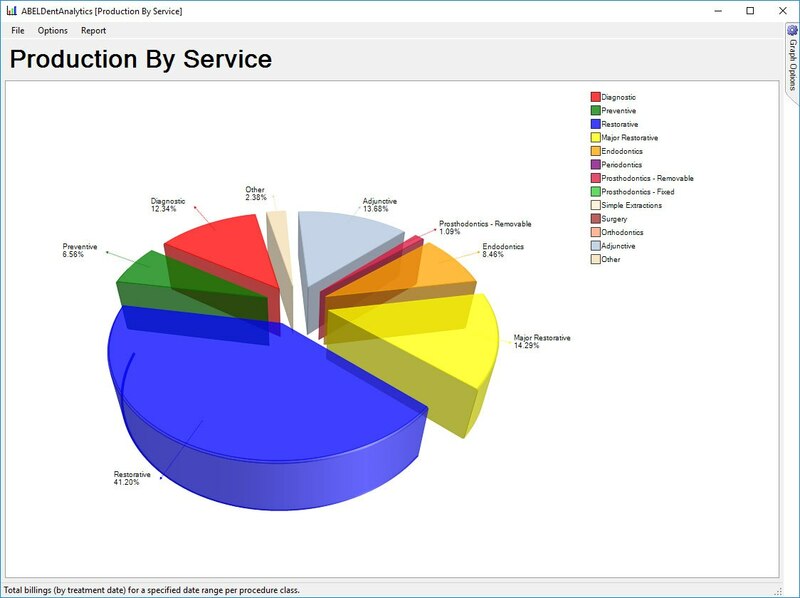 Moreover, advanced users can create their own custom KPIs with the ABELDent Report Generator. Templates are also provided that can be modified to make report creation easy. 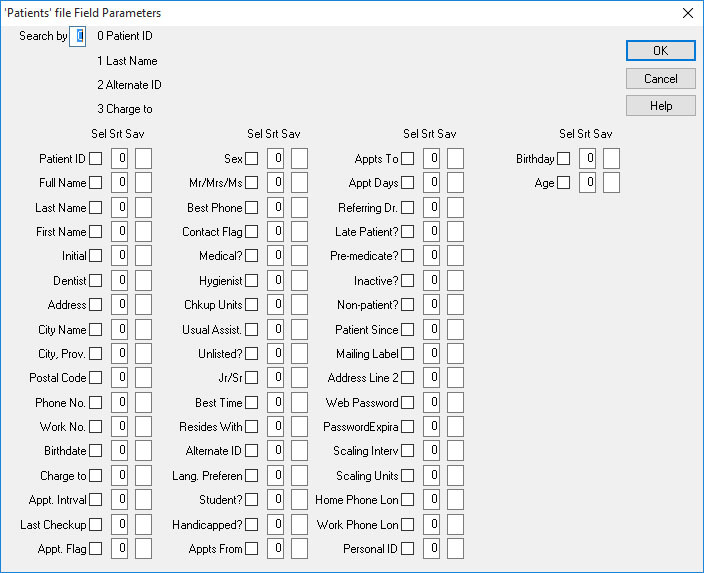 ABELDent’s Authorization Manager establishes individual user IDs and passwords and can restrict access to specific program functions and sensitive data based on user defined roles. It also records and reports changes in data including edited or deleted financial records as well as keeps your patient information safe and private by complying with Regulatory body requirements. 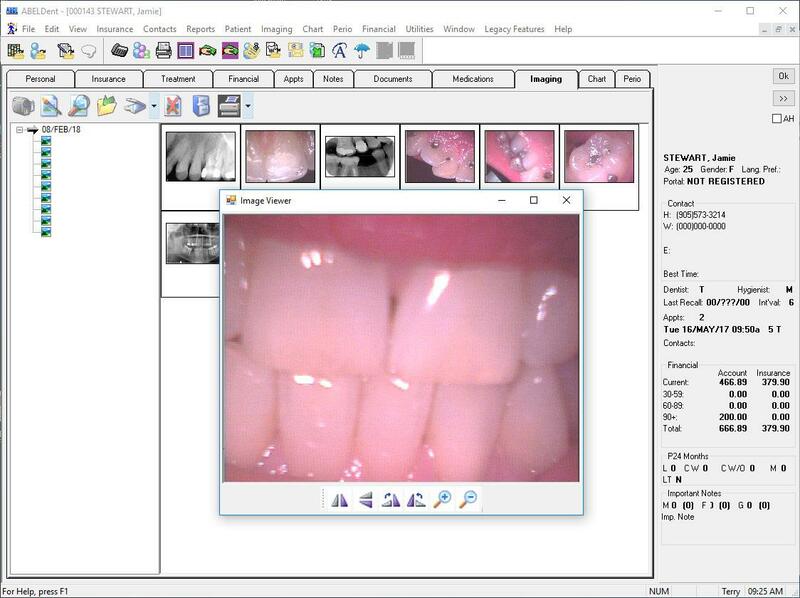 ABELDent includes Optio Dentistry™ patient education software at no cost. 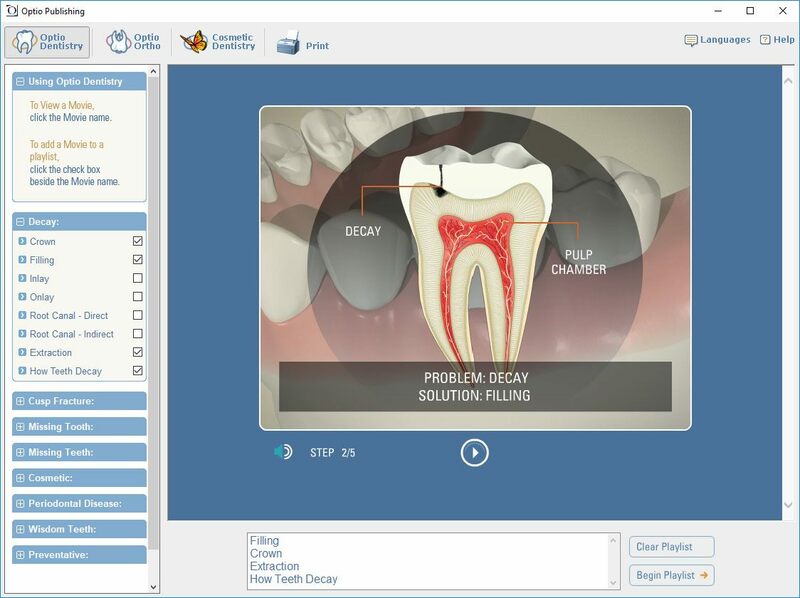 Optio Dentistry™ includes dozens of 3D animations of common dental problems and procedures to help patients understand your recommended treatment.